Scientists for the first time observed in the globular cluster a black hole that does not manifest itself as a devouring substance. 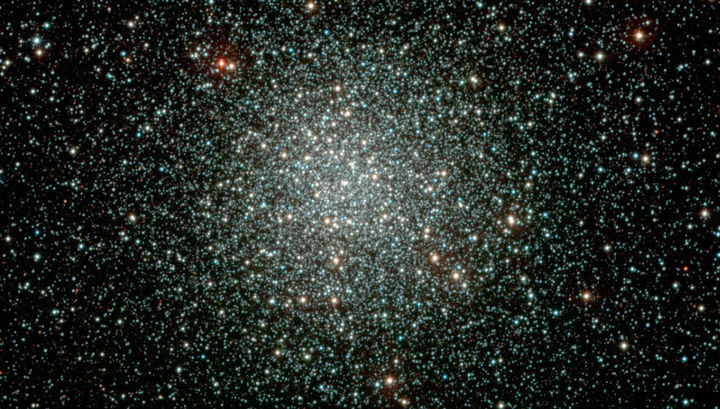 Globular clusters, recall, number tens and hundreds of thousands of stars, mostly very old. These formations are the same age as the Galaxy. In the Milky Way, observers counted more than 150 globular clusters. The world’s largest telescope VLT, armed with a MUSE receiver, is now conducting a “census” of stars in 25 such clusters. For each of them it is planned to collect spectra from 600 to 27000 light. This will measure the speed of the stars and draw up maps of their movements. The accumulation of NGC 3201 in the constellation of Sails gave astronomers an unexpected discovery. The group of Benjamin Giesers (Benjamin Giesers) from the University of George August in Göttingen drew attention to the strange movement of one of the luminaries. The star fluctuates, then approaching the Earth, then moving away from it, with a period of 167 days and a speed of hundreds of thousands of kilometers per hour. Of course, the luminary does not move in a straight line. The speed of a star is determined by the Doppler effect. Therefore, astronomers can see only that component of the speed that is co-ordinated to the line “star-observer” (the line of sight, as experts say). What looks like an oscillation is actually an orbit around an unknown object. What is this object? Observing the luminary, astronomers calculated its mass – it is equal to 0.8 solar. Based on the speed and the period of the “vibrational” motion, the specialists calculated the orbital parameters. And they realized that the only reasonable candidate for the role of the central object is a black hole with a mass of 4.36 solar. 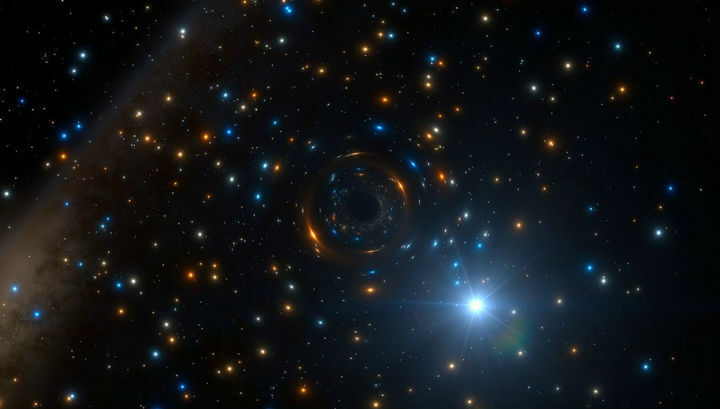 “It is moving in orbit around something invisible, having a mass of more than four solar masses, and this something can only be a black hole – the first black hole open in a globular cluster along a direct record of its gravitational Attraction! ” – quotes a press release of the word Giesers. Usually, black holes are detected by the radiation of a substance incident on them, constant or incidental. The discovery of gravitational waves gave astronomers another “channel of communication” with these exotic objects (although it works only in the moment of a dramatic cataclysm, when two black holes merge into one). But such that a black hole was found in the globular cluster simply by the characteristics of the orbital motion of its satellite, has never happened. This discovery is important for understanding the evolution of such “star balls”. It is believed that the black holes that are formed there during supernova explosions, as a result of the complex gravitational interaction of stars, are quickly ejected from the cluster. Amazingly clear dinosaur footprints found.